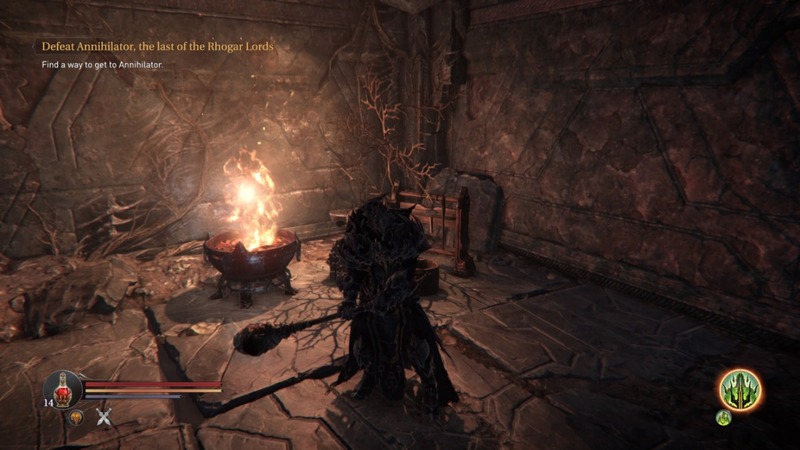 Within a few months of its release, the success of Dark Souls had become undeniable within the video game industry as players everywhere wept and rejoiced at its incredibly challenging but similarly rewarding style. The industry as a whole had often seen an influx of companies ‘striking when the iron was hot’ so to speak and it seemed inevitable for the imitators to start piling in. Years went by and beyond From Softwares own releases, in a genre they essentially created, there were scarce few answers to the question of what to play for a gamer that was looking for more of the same. Enter Lords of the Fallen, a game set to try and carve out its own place in the genre while also being subject to the inevitable comparisons. Nowhere is it more apparent where this titles inspiration comes from than in the graphics department. As a result of the dark and gritty setting, it would be completely understandable for someone to require a double take at first exposure in order to identify it. In my opinion, this is a shame as the focus really should be on all of the instances of fine detail one would encounter during the adventure. 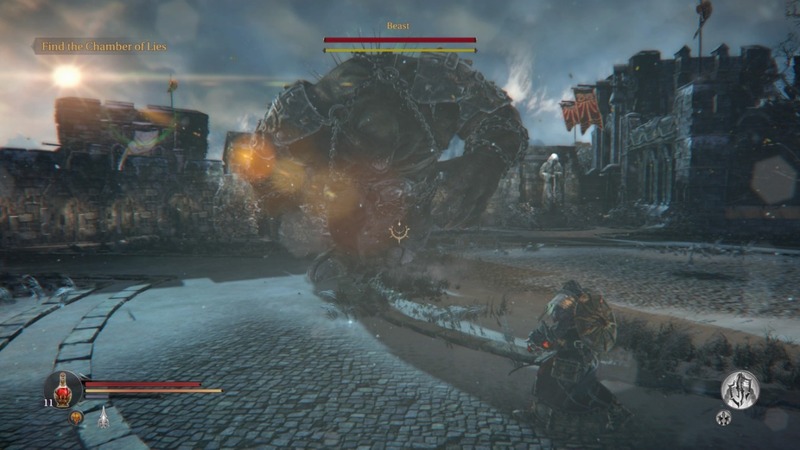 A brazier flame flickers in a feeble attempt to illuminate the darkness, floor tiles crack and warp while resisting the wearing effects of time and bosses covered in spike and chain tower over the protagonist. Specific recognition needs to be given to the person responsible for the weapon and armor design. Everything is bold, wonderfully textured, and unique stylistically. This is not a game where picking up a new piece means just getting a different color variant of what you have been wearing for the last 5 hours. 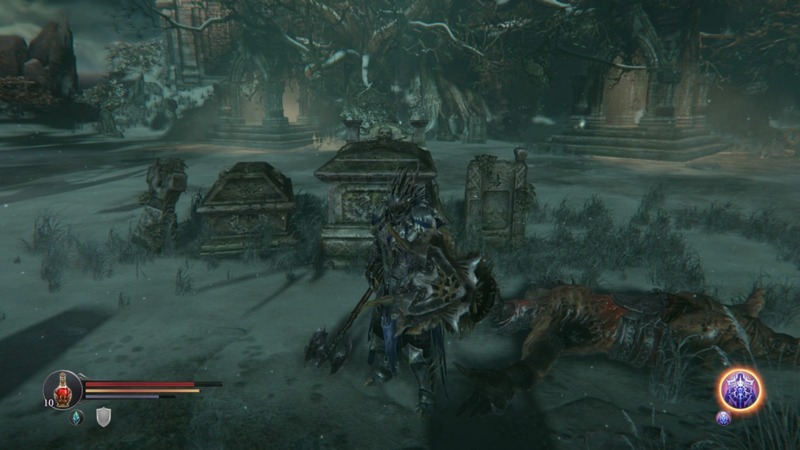 As is common for the few games in this genre, the world is treated like its very own character for the player to interact with. Wonderful use of lighting effects and texture choices give the world a lived in feel. Beyond that, the developers made good choices on corridor and room placement ensuring that the architecture feels organic rather than placed for a video game. This becomes beneficial in assisting with learning the twists and turns as well as enemy placements if you find yourself repeating areas due to death. My only real complaint with this world is that it feels more linear than expected, there are still side areas to explore but there is a clear directive. This brings me to dying, I found this game to be easier than its competitors but that doesn’t mean that at least during the initial learning curve you won’t see the load screen more than a few times. You will die, take my word for it. I have seen a lot of complaints made about the combat feeling clunky but I don’t know where it is coming from. Like many games once you pick up a new weapon and get used to its attack speed and patterns, it just becomes a matter of strategy and picking your spots. If however, you still find it really slow just make sure that you are using whatever options you have to create a different type of character. If you put points into agility, throw on some medium armor and wield daggers, trust me, it will feel drastically different a full fledged lumbering tank. Magic on the other hand doesn’t offer much variety between the three schools. Ultimately though, you will be left feeling that there could have been more options for customization. As you kill enemies you accumulate experience that can be used at a rest point to level. If you die, you drop all your experience and must make it back to it without dying again or else it will be lost forever. That’s pretty familiar, right? The big difference here is an added risk vs. reward system. The longer you go without stopping at a rest shrine the more your experience multiplier increases. This way it is up to the player to decide if that next turn of a corridor is worth chancing their current pool or if it is better to drop off and reset. Some of you might be wondering why I haven’t mentioned the story yet, it’s because these games don’t usually employ a traditional narrative. They make the players piece together a lot of the events through environment queues and scarce passing dialogue. However, that’s not the case here. The player takes control of Harkyn, a convict freed by the monk Kaslo in order to stop the Rhygar invasion and blah blah blah, who cares. The story is weak and the only lasting memory is it was there and not in the way. It might even do gamers better to ignore it and play the game as if this misstep wasn’t attempted. 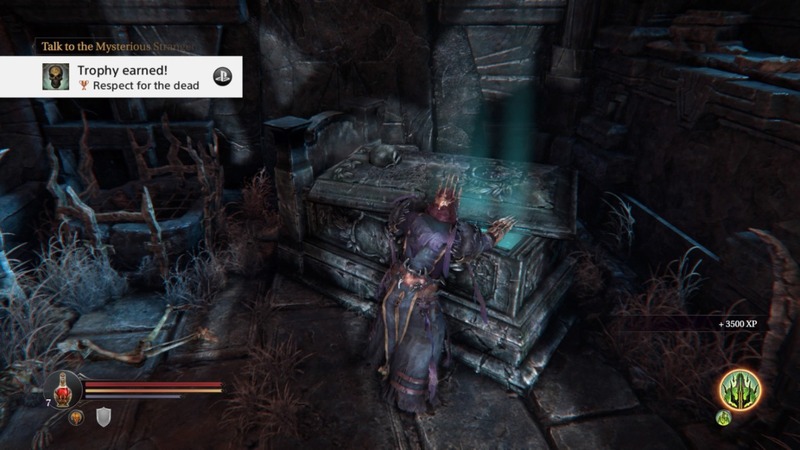 I would like to take a moment to address the DLC, Ancient Labyrinth. Even though it was one of my favorite parts of the game, housing some of the tougher enemies, a level that is essentially a giant puzzle and the most imaginative boss fight the game has to offer (impressive considering the bosses in the rest of the game were no slouches.) I can’t recommend it to many people that didn’t get it with the complete edition, which by now is the main version available. If you have to buy it separately you will probably feel that it is too short for the price. You will have to really like the base game to justify it. Is this game as good as Dark Souls? No, and perhaps it would be unfair to expect it to be. However, is it similar enough in gameplay to recommend to fans of the series? Absolutely, this is an above average game that should not be overlooked simply because it fits in a second tier. There is nothing wrong with giving players more of or similar to what they like.